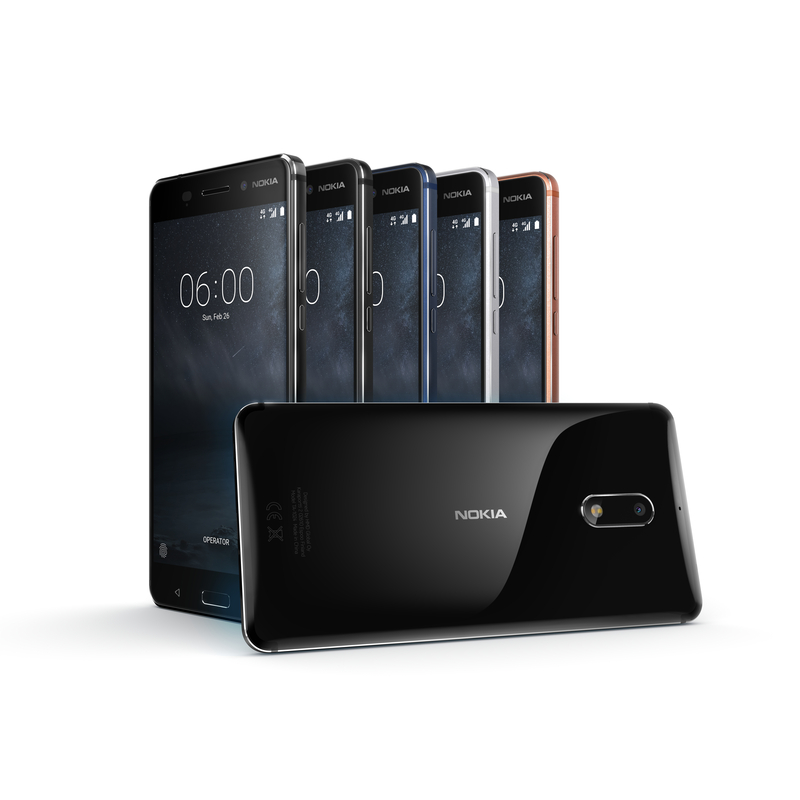 Well, sort-of, HMD Global (another Finnish company and the new home of Nokia phones) is releasing a few new Android phones under the Nokia brand. HMD announced the Nokia 6, 5 & 3 and a redesigned, relaunched version of the Nokia 3310. The Nokia 6 has the more “flagship” specs with a 5.5-inch Full HD IPS display, Snapdragon 430 processor, 32GB of internal storage and 3GB of RAM. You’ll also find a 16-megapixel rear-facing camera and a 8-megapixel front-facing camera. There’s also microUSB, a fingerprint sensor, dual speakers with a “smart amplifier” and Dolby Atmos. 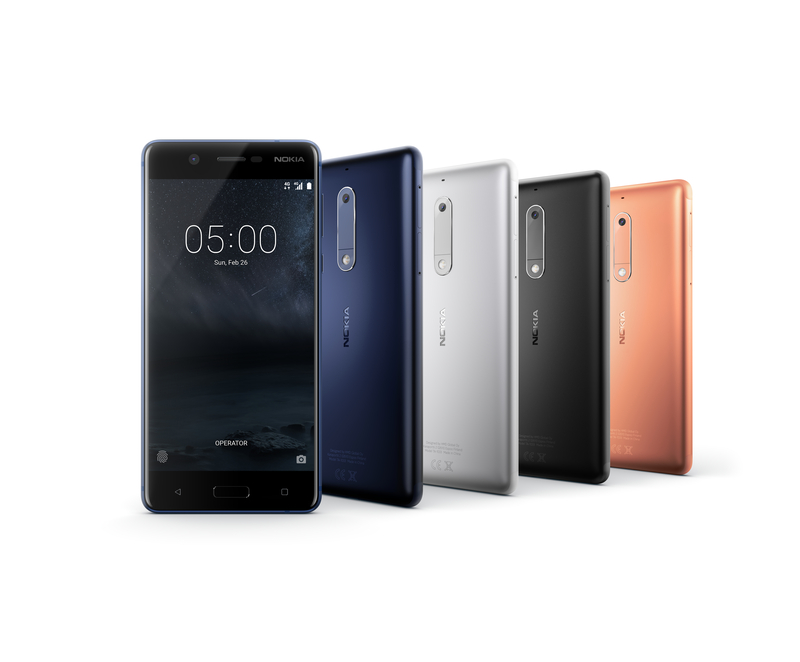 The Nokia 6 comes in Matte Black, Silver, Tempered Blue and Copper and will cost €229 (or about $316 CAD). There will also be a Arte Black Special Edition of the Nokia 6 with a piano black finish and 64GB of internal storage as well as 4GB of RAM. This one will cost €299 (about $413 CAD). The Nokia 5 has a 5.2-inch HD IPS display and is made from a single block of aluminum which makes it feel more premium. Inside, you’ll find a Snapdragon 430 processor, 16GB of internal storage (plus microSD card slot), 2GB of RAM. Camera wise, you’ll find a 13-megapixel rear-facing camera while the front-facing camera is 8-megapixels and it wide-angle. The Nokia 5 will also have a 3,000 mAh battery, microUSB, fingerprint sensor. The Nokia 5 will be priced at €189 (about $261 CAD) and will be available in Matte Black, Silver, Tempered Blue and Copper. The Nokia 3 has a similar design to the 6 and 5 with an aluminum unibody. There’s also a 5-inch HD IPS display and is being powered by a MediaTek 6737 processor. The 3 has 16GB of internal storage (with microSD card slot) and 2GB of RAM. You’ll also find a 2,650mAh battery as well as an 8-megapixel camera on the front and back. There’s also a microUSB port. 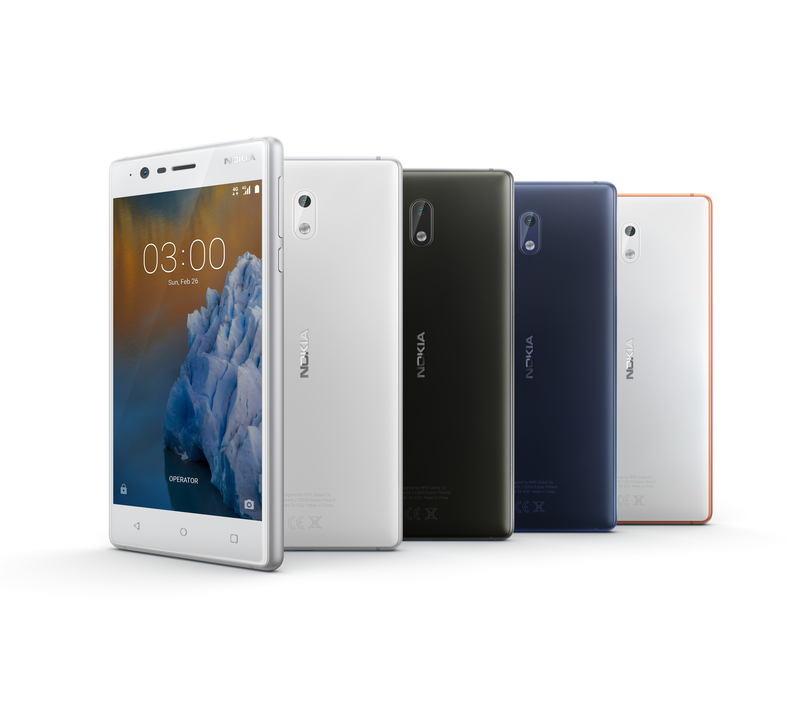 The Nokia 3 will cost €139 (about $192 CAD) and be available in Silver ,White, Matte Black, Tempered Blue and Copper. The Nokia 6, 5 and 3 will be running Android 7.0 Nougat and all come with the Google Assistant and unlimited Google Photos storage. The phones will be available globally in Q2 of this year. 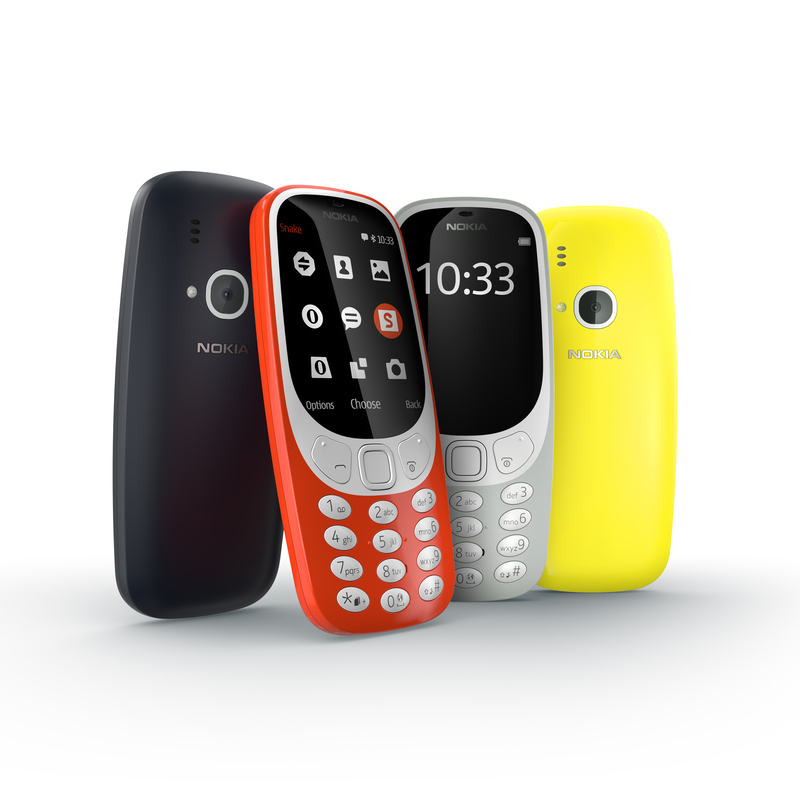 HMD also brought back the infamous Nokia 3310 with a new design, about 22 hours of talk time and a month of standby time. You’ll also be able to play a refreshed version of Snake. The Nokia 3310 will cost €49 (about $67 CAD) and in case you didn’t realize, the 3310 doesn’t run Android.